Narrated by Terrence Howard, the rich musical legacy of the Mississippi Delta and Memphis comes alive in a award-winning documentary celebrating the magical mixture of generations and genres that gave birth to the Memphis sound that has influenced the world's popular music. The film features a soulful ensemble that includes William Bell, Snoop Dogg, Mavis Staples, Otis Clay, Lil P-Nut, Charlie Musselwhite, Bobby 'Blue' Bland, Yo Gotti, Bobby Rush, Academy Award winner Frayser Boy and The North Mississippi All-Stars. 200,000 years ago our ancestors took their first steps on the African savanna. Today, seven billion of us live across the planet. How did we beat the odds and spread from continent to continent? 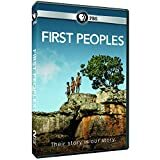 The series is a global detective story that traces the arrival of the first Homo sapiens on five continents. 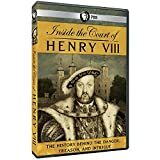 Filmed on location at palaces and other places of historical significance - Anne Boleyn's childhood home at Hever Castle to the great buildings of Hampton Court, Lambeth Palace and The Tower of London - the documentary provides five historians' expert commentary on the reality of life under King Henry VIII interspersed with sumptuous dramatic reconstructions of key events that shaped the period. This critically acclaimed documentary going behind the scenes of Jennifer Lynch's (David Lynch's daughter), filmmaking in India. Surrounded by a team of truly wonderful Indian crewm he 12 year old daughter, and a cast of Bollywood stars, Lynch does her best to stay sane and guide the production through a minefield of disasters. A joyful mash-up of genre and prolific influences spanning spaghetti westerns, graphic novels, horror films, and the Iranian New Wave. While comparisons have been made to Jarmusch, Lynch, Tarantino, and Sergio Leone, the film is wholly original and refreshingly daring, signaling the arrival of a bold new voice with writer/director Lily Amirpour. 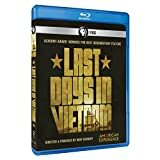 2015 Academy Award Nominee For Best Documentary Feature: During the chaotic final days of the Vietnam War, as the North Vietnamese Army closed in on Saigon, South Vietnamese resistance crumbled. City after city and village after village fell to the North while the few U.S. diplomats and military operatives still in the country contemplated withdrawal. 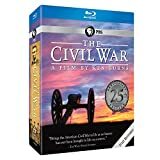 With the clock ticking and the city under fire, American officers on the ground found themselves faced with a moral dilemma: whether to follow official policy and evacuate U.S. citizens and their dependents only, or to ignore orders and evacuate the men, women, and children they had come to value and love in their years in Vietnam. Sam (Alex Russell) stands on stage as thousands of fans go wild. Smart, charismatic and handsome, he moves them with his message, and when he calls for donations to his charity, the money pours in. The only thing is, Sam doesn't believe a word he's saying. Just months earlier, Sam was a typical college senior focused on keg stands, hookups and getting through graduation. But when a surprise final tuition bill threatens his dream of law school and leaves him thousands of dollars in the hole, he's forced to think outside the box. Awareness for important animal issues around the globe. Katie Cleary and Kirstin Rizzo uncover the work that many individuals and animal organizations do in a way that has never been done before. Their powerful, fearless film illustrates what is really going on in the underground black market trade of wild and exotic animals, puppy mills, poaching, animal abuse and neglect, the food we consume, as well as the fur and pet industries and all the other operations that trade on the suffering of innocent animals. 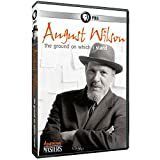 Film and theater luminaries, including Viola Davis, Charles Dutton, Laurence Fishburne, James Earl Jones, Suzan-Lori Parks and Phylicia Rashad, share their stories of the career- and life-changing experience of bringing August Wilson's rich theatrical voice to the stage. Wilson's sister Freda Ellis, his widow and costume designer Constanza Romero, as well as friends, colleagues and scholars trace Wilson's influences, creative evolution, triumphs, struggles and quest for cultural determinism before his untimely death from liver cancer.